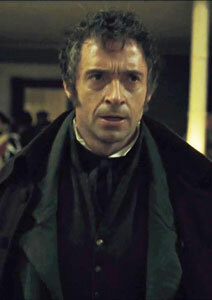 It’s now well-known that the filmmakers and actors had a unique approach to recording the music in Les Misérables. Unlike most movie musicals in which the songs are recorded before the shoot and the cast mimes to the music, Les Misérables features the cast recorded as they were singing live. Castmembers had an earpiece in which they were accompanied by a piano, with full orchestration being done after the shoot to match the performances. However, as star Hugh Jackman tells the Associated Press, it fit right in with his past experience in musical performance.